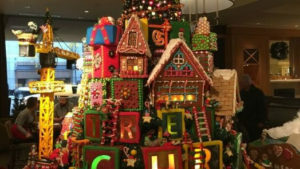 Seattle Gingerbread Village – For 25 years, Seattle has embraced the Sheraton’s Seattle Gingerbread Village benefiting the Juvenile Diabetes Research Foundation. 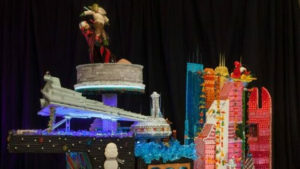 As a tribute to the city, the theme for the Sheraton Seattle Hotel’s 25th Annual Gingerbread Village is 25 Years of Cheer: A Celebration of Seattle. The hotel invites visitors to stroll through Seattle’s cobblestone past and glimpse into its future, reflecting on what makes the city special. Seattle’s top architecture firms, master builders and Sheraton Seattle culinary teams have come together to rediscover the city’s historic past and imagine the future, including its waterfront. From the looming skyscrapers and underground tunnels, to the Seattle Great Wheel and the Space Needle that symbolize our city today, Seattle has a rich history of incredible structures. Along with a look back at the city’s storied past, this year’s displays will envision the future of Seattle. 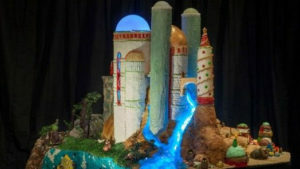 This year, the Sheraton Seattle’s Gingerbread Village will be located across the street from the Sheraton at the City Centre building to accommodate the visually striking display. 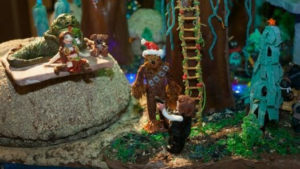 With the Sheraton’s Gingerbread Village on display across the street, for the first time, the public will be able to view part of the display through windows on Fifth and Sixth Avenues. Monday through Thursday from 6:30 a.m. to 11:30 p.m.
Friday from 6:30 a.m. to 12:30 a.m.
Saturday from 8:00 a.m. to 12:30 a.m.
Sunday from 8:00 a.m. to 11:30 p.m.